Just seventy-five years ago, the American government did something that most would consider unthinkable today: it rounded up over 100,000 of its own citizens based on nothing more than their ancestry and, suspicious of their loyalty, kept them in concentration camps for the better part of four years. How could this have happened? Uprooted takes a close look at the history of racism in America and carefully follows the treacherous path that led one of our nation’s most beloved presidents to make this decision. Meanwhile, it also illuminates the history of Japan and its own struggles with racism and xenophobia, which led to the bombing of Pearl Harbor, ultimately tying the two countries together. Today, America is still filled with racial tension, and personal liberty in wartime is as relevant a topic as ever. 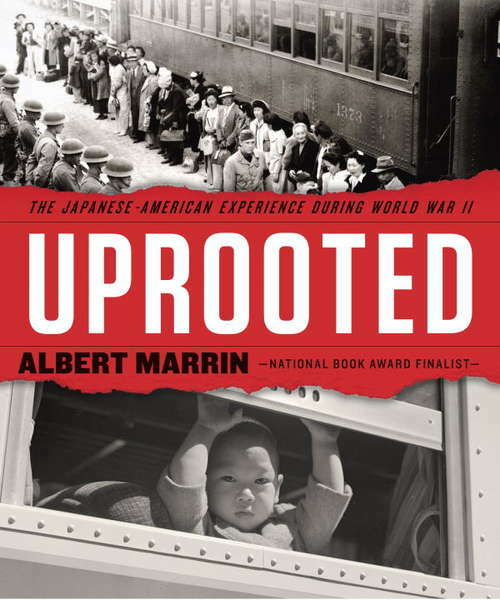 Moving and impactful, National Book Award finalist Albert Marrin’s sobering exploration of this monumental injustice shines as bright a light on current events as it does on the past.